Obesity can lead to a number of health issues and we often welcome itinadvertently with sedentary, Lack of physical exercise, intake of a poor diet and unhealthy lifestyles.It may further cause diabetes, high blood pressure, heart disease, etc. An ideal way to reduce weight is to eat healthily, exercise regularly and have a healthy lifestyle which requires patience, persistence and time. For a diabetic or a patient with a heart condition who is also obese, it is of paramount importance to reduce weight immediately. In case of patients who have tried reducing weight through diet and exercise and still not have been able to reduce weight significantly, Bariatric surgery is a solution that can help them reduce weight. Academically, bariatric surgery is a type of surgery performed on the stomach or intestines to reduce obesity in individuals. People with above 40 Body Mass Index (BMI) are ideal for bariatric surgery. Individuals with health conditions like Type-2 Diabetes or heart disease with a body mass index between 35-40 are also advised bariatric surgery for weight reduction. Bariatric surgery is of two types. This type of bariatric surgery restricts the size of the stomach. Apparently, it slows down digestion and helps in reducing of obesity. Sleeve gastrectomy and lap band surgery come under the restrictive category. These are invasive surgeries. It restricts the size of the stomach by removing a portion of the digestive tract. This reduces the quantity of the food consumption, thereby reducing the body’s ability absorb excess calories. Bariatric surgery could be an open surgery or it could be a laparoscopic interventional procedure. Laparoscopic method is commonly used these days, where it involves making small incisions to insert surgical instruments inside the abdomen. Post-surgical recovery is quick because the surgery requires making small extensive cuts on the patient’s body. 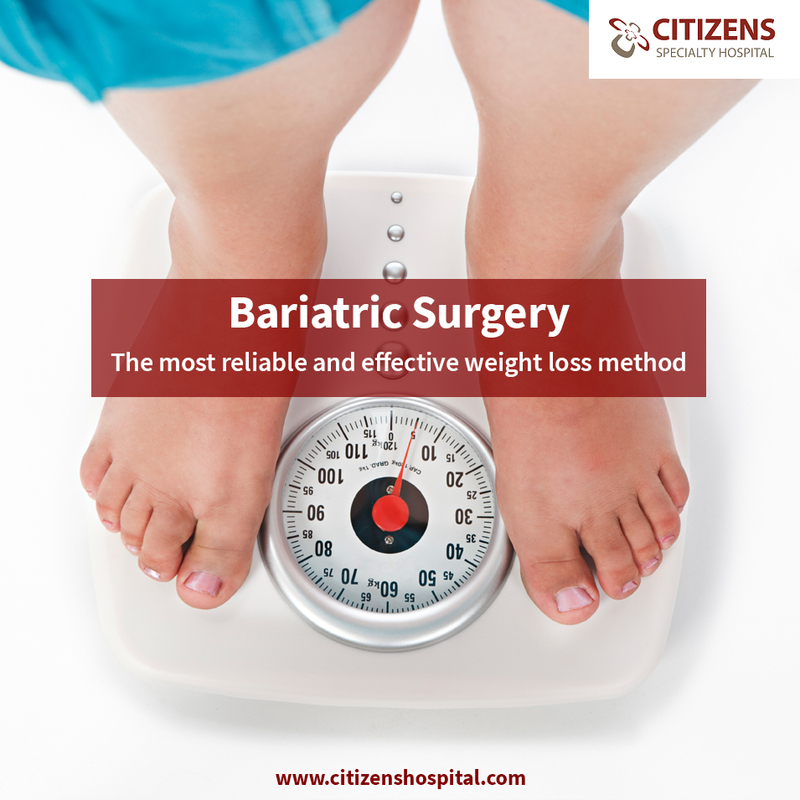 The complications are minimal in laparoscopic surgery; hence it is a preferred choice for bariatric surgery. Weight loss surgeries involve certain potential health risks. It includes both long term and short term. Short-term complications include breathing problems, bleeding, leaks in the gastrointestinal system etc. Long-term health risks can be a bowel obstruction, ulcers, malnutrition, vomiting, low blood sugar hernia etc. Any surgical procedure comes with a certain amount of risk, and so it bariatric surgery. Internal bleeding, infections, pulmonary thrombosis etc. are among the risk factors of the surgery, although the occurrence is low. Bariatric surgery is the final resort for people struggling with obesity. The key factor that decides the success rate of bariatric surgery is weight loss achievement and maintenance. The success rate stands higher while mortality rate and other complications stand minimal in the procedure in India. After surgery, The patient may experience nausea and dehydration. Despite those common symptoms, the diet plays a key role in recuperation. Strictly follow the diet plan as prescribed. Seek the specialist advice before consuming solid foods. Recuperation is the important process. Seek doctors advice on the type of exercises a bariatric patient can do. Take enough rest and sleep well. Do not miss your doctor appointments. Follow the prescription strictly. Avoid having a high-calorie liquid diet. Indulge in fresh fruit juices and low-calorie liquid diet.